Designed specifically for small animal use, our chambers are constructed to effectively deliver high levels of oxygen to the small animal patient at an affordable cost. Our chambers range from sizes appropriate for the veterinarian clinic, animal hospital, or professional animal care facility, to smaller chambers that can be used for pets at home. 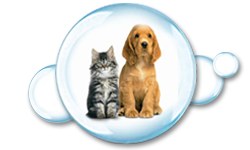 Manufactured by PetPressure, we offer effective, safe animal hyperbaric chambers available at a fraction of the cost of hard sided chambers. 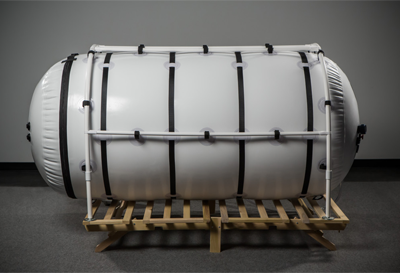 Our chambers are constructed in accordance with FDA guidance for veterinary hyperbaric chambers, are durable, safe, and quiet. 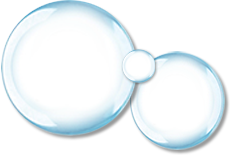 Our goal is to make hyperbaric oxygen chambers accessible those wanting to increase the effectiveness of their small animal practice. All of our chambers come with a standard 2 year manufacturer’s warranty. 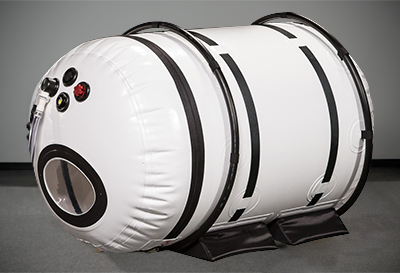 The hyperbaric chamber creates a pressurized environment that allows oxygen to penetrate deeply into the animals tissue. Used in combination with an oxygen concentrator, the chamber creates an enriched oxygen environment and a pressure gradient that the allows oxygen to reach injured tissue. Our chambers pressurize to 1.3 ATA, and all can be upgraded to pressurize to 1.5 ATA if desired. High levels of oxygen are a powerful anti-inflammatory, a natural anti-biotic, and speed tissue healing. HBOT reduces swelling and inflammation, and promotes wound healing by stimulating fibroblast formation, stem cell proliferation and neovascularization. – It’s a video that’s hard to watch, but the transformation is incredible. Two weeks ago, a rescue puppy came to Scottsdale Veterinary Clinic with uncontrollable seizures after she had died during surgery. When brought back to life, many didn’t think she’d make it much longer. Five days later, here she is, playing around like nothing happened. “She lives up to her name, Cutie Pie,” said Alex Gallagher, director of the Salt River Animal Rescue. Cutie Pie is owning her life to a piece of equipment not found in many places. Here in Scottsdale, this hyperbaric oxygen chamber is built to help people and provides hope for animals. “Brain damage from a hypoxic event, when their brain isn’t getting oxygen, this helps push extra oxygen into the brain to keep it alive until it starts to heal,” said Dr. Bill Langhofer of the Scottsdale Veterinary Clinic. Dr. Langhofer helped treat Cutie Pie, along with Dr. Greenwood, who sees results like this all the time. “Near-drowning patients that we’ve had really good luck with, we’ve also used it in the treatment and healing in valley fever, which is something we see often here,” he said. The equipment has been here since December, but the treatment isn’t even taught in school. “When we had this machine installed, not only did we hire some of the experts in the nation teach us, we also went over to Scottsdale Osborne to investigate their hyperbaric unit that they used on some of their patients,” Dr. Langhofer said. The results have been amazing, but expensive. Normally, Cutie Pie’s treatment would cost three-to-four thousand dollars, but the vet donated everything. The Salt River Animal Rescue is thankful to be able to focus on finding her a home. “We’re anticipating at least two more weeks and then she just needs a few more treatments, a little more time to heal and she should be good to go, find her forever family,” Gallagher said. It’s a search, we can’t imagine, will take very long. Cutie Pie will be at the Salt River Animal Rescue adoption event on August 5 at the corner of Scottsdale and Shea in Troy’s Pet Market.